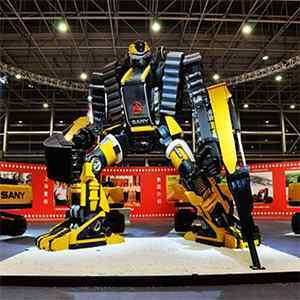 An industrial robot can be defined as a robot system that is used for manufacturing. 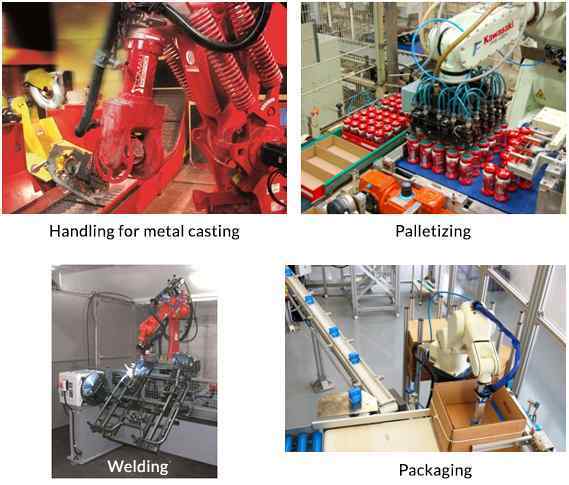 A wide range of tasks can be performed by the industrial manufacturing robots as they are included with diverse capabilities. Industrial robots perform various tasks (such as picking up and clamping activities, spot and arc welding, clamping for machining, manipulation and transfer of parts) with the help of sensors, computer software, and a network of complex mechanical gestures. Furthermore, industrial robots are automated, programmable and capable of movement in two or more axes. 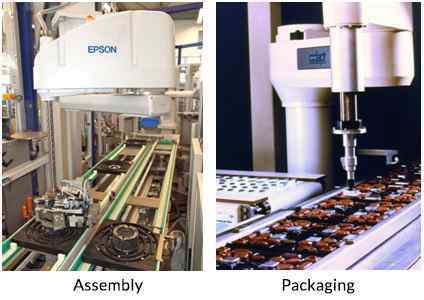 Applications of robots include welding, painting, assembly, pick and place for printed circuit boards, packaging and labeling, palletizing, product inspection, and testing; all accomplished with high endurance, speed, and precision. Speed – In this case, speed can be defined as the speed of a robot used to position the end of its arm when all axes are moving. 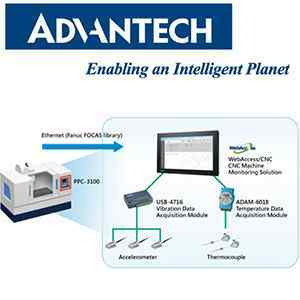 Accuracy – Accuracy can be defined as exactness of a robot on how closely it can reach a commanded position. Repeatability – How well the robot will return to a programmed position. Prismatic Joint: It provides a linear sliding movement between two bodies (it is often called as a slider). 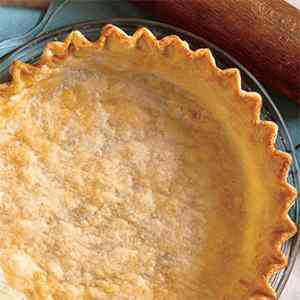 It can be formed with a polygonal cross-section to resist rotation. 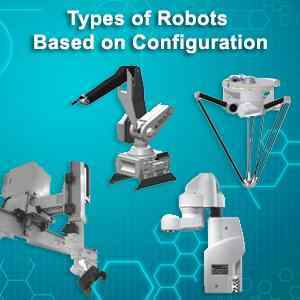 There are different types of industrial robots based on specifications and applications. 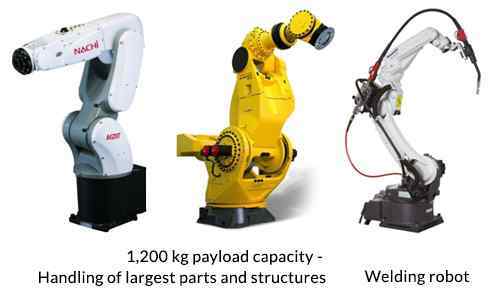 Various types of industrial robots include non-servo robots, servo robots, programmable robots, and computer programmable robots. Non-servo robots: These robots are used to move and place objects. That means, these robots will be capable to pick up an object and transport the object, place it down. 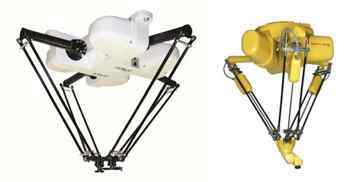 Servo robots: Servo robots include manipulators, effectors, robotic appendages that function as the arms and hands of the robot. Programmable robots: These robots store commands in a database i.e. they can repeat a task a pre-determined number of times. Computer programmable robots: These robots are essentially servo robots that can be controlled remotely, via a computer. 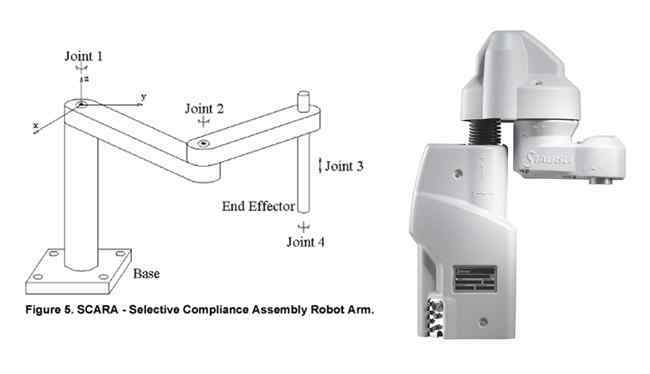 SCARA robot: SCARA (Selective Compliance Assembly Robot Arm) robot is included with two parallel rotary joints to provide compliance in a plane. A Cartesian robot can be defined as an industrial robot whose three principal axes of control are linear and are at right angles to each other. Using their rigid structure, they can carry high payloads. 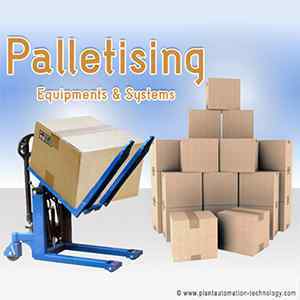 They can perform some functions such as pick and place, loading and unloading, material handling, and so on. Cartesian robots are also called as Gantry robots as their horizontal member supports both the ends. Cartesian robots are also known as linear robots or XYZ robots as they are outfitted with three rotary joints for assembling XYZ axes. 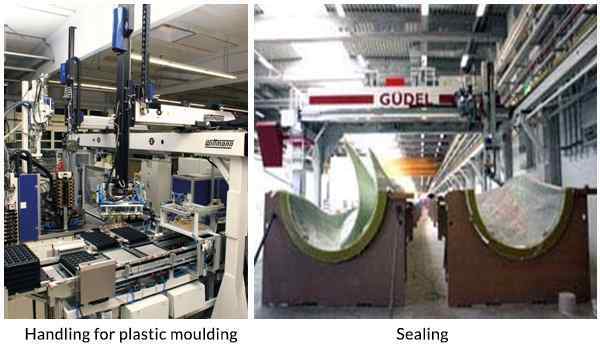 Cartesian robots can be used in sealing, handling for plastic moulding, 3D printing, and in a computer numerical control machine (CNC). Pick and place machines and plotters work on the principle of the Cartesian robots. They can handle heavy loads with high positioning accuracy. The robot was developed under the guidance of Hiroshi Makino, a professor at the University of Yamanashi. The arms of SCARA are flexible in the XY-axes and rigid in the Z-axis that makes it to familiarize to holes in the XY-axes. In the X-Y direction, the arm of SCARA robot will be compliant and strong in the ‘Z’ direction due to the virtue of the SCARA’s parallel-axis joint layout. Hence the term, Selective Compliant. 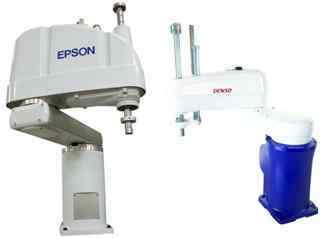 This robot is used for various types of assembly operations i.e. a round pin can be inserted in a round hole without binding using this. These robots are faster and cleaner than comparable robot systems and they are based on serial architectures, that means the first motor should carry all other motors. 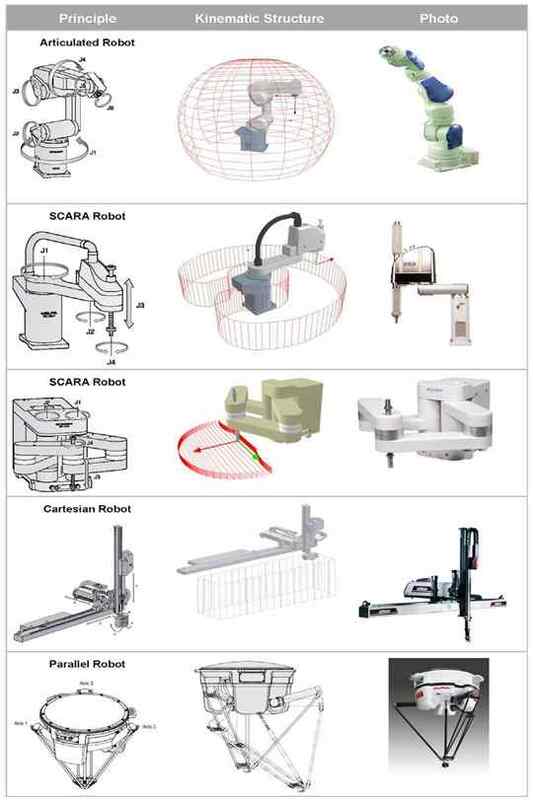 SCARA robots are used for assembly, packaging, palletisation, and machine loading. SCARA robot typically requires dedicated robot controller in addition to line master controller like PLC/PC. An Articulated robot can be defined as a robot with rotary joint and these robots can range from simple two-jointed structures to systems with 10 or more interacting joints. These robots can reach any point as they work in three dimensional spaces. On the other hand, articulated robot joints can be parallel or orthogonal to each other with some pairs of joints parallel and others orthogonal to each other. As articulated robots have three revolute joints, the structure of these robots is very similar to the human arm. 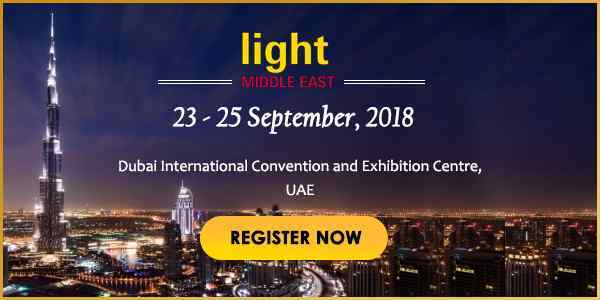 Articulated robots can be used in Robots palletizing food (Bakery), Manufacturing of steel bridges, cutting steel, Flat-glass handling, heavy duty robot with 500 kg payload, Automation in foundry industry, heat resistant robot, metal casting, and Spot Welding. Parallel robots are also known as parallel manipulators or generalized Stewart platforms. A parallel robot is a mechanical system that uses several computer-controlled serial chains to support a single platform, or end-effector. Furthermore, a parallel robot can be formed from six linear actuators that maintain a movable base for devices such as flight simulators. These robots prevent redundant movements and to carry out this mechanism, their chain is designed to be short, simple. They are used in limit in the workspaces. To perform a desired manipulation, it would be very difficult and can lead to multiple solutions. Two examples of popular parallel robots are the Stewart platform and the Delta robot. Positional Commands: A robot can perform the required position using a GUI or text based commands in which the essential X-Y-Z position may be specified and edited. Teach Pendant: Using a teach pendant method, we can teach the positions to a robot. Teach pendent is a handheld control and programming unit that contain the capability to manually send the robot to a desired position. A teach pendant can be disconnected after the completion of programming. But, the robot runs the program, which was fixed in controller. Lead-by-the-nose: Lead-by-the-nose is a technique which will be included by many robot manufacturers. In this method, one user holds the robot’s manipulator, while another person enters a command that helps to de-energize the robot which will make it to go into limp. Then, user can move the robot to the required position (by hand) while the software records these positions into memory. Several robot manufacturers use this technique for performing paint spraying. Robotic Simulator: A robotic simulator helps not to depend on the physical operation of the robot arm. Following this method helps to save time in the design of robotics applications and enhances the safety level. 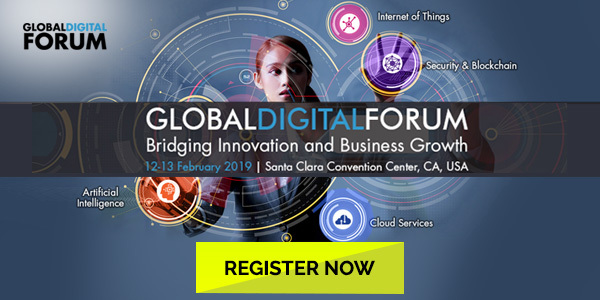 On the other hand, programs (which are written in various programming languages) can be tested, run, taught, and debugged using the robotic simulation software. 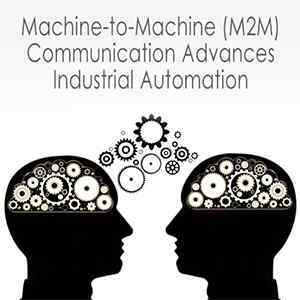 Machine Operator: A machine operator can be used to make adjustments within a program. These operators use touch-screen units that serve as the operator control panel. 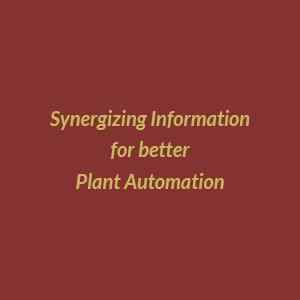 Why industrial robots remain as future of the automation world?